Hey there! 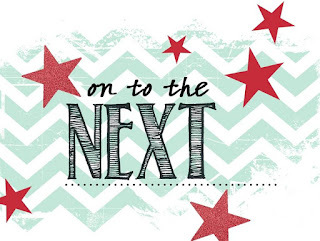 Thanks for joining us for the first Creation Station blog hop of the Stampin' Up year! The 2018-2019 Annual Catalog just went live a few days ago (check it out via the link on the right of my blog) and our design team will be showing you some manly-man creations straight from the new catalog. My card uses several products from the Tranquil Textures Suite. 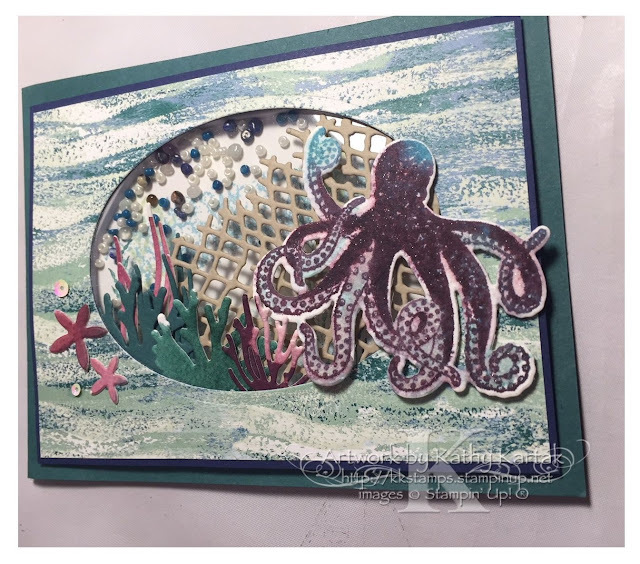 I made an undersea themed card that I thought would be great for a man who enjoys snorkeling or scuba diving. This suite of products was super fun to play with because there are so many textures and so many great elements. I started by stamping the octopus from the "Sea of Textures" stamp set in Balmy Blue Ink onto a piece of Watercolor Paper. 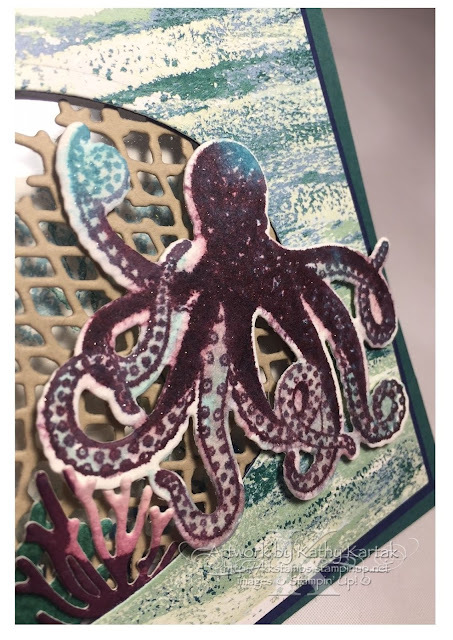 I used my Stamparatus because I wanted to make him several colors--because octopi change colors! I lightly and incompletely inked up the stamp again with Fresh Fig Ink and lightly stamped the octopus again. 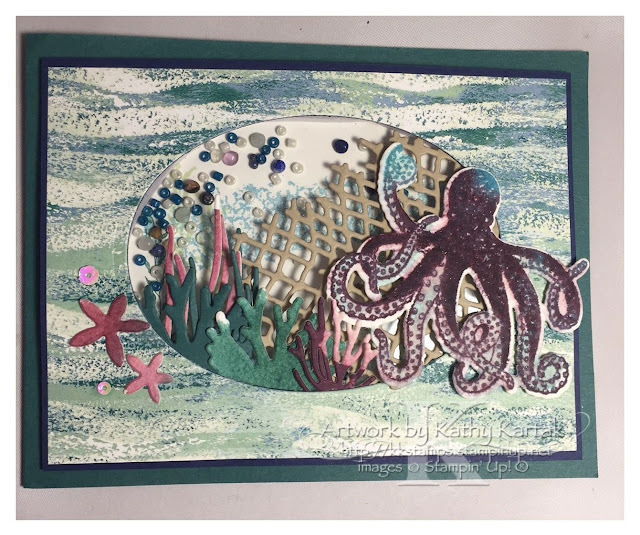 I cut out the octopus with the matching Under The Sea Framelit. Then I squeezed a bit of Tranquil Tide Reinker onto an Acrylic Block and picked it up with an Aqua Painter. I added this color to the octopus and blended the other colors. Once it was dry, I added some Clear Wink of Stella for underwater shimmer. I adhered a 3-3/4" by 5" piece of Tranquil Textures Designer Series Paper to a 3-7/8" by 5-1/8" piece of Night of Navy Card Stock and cut out the center with the largest of the Layering Ovals Framelits. I cut out several coral and kelp pieces with the Under the Sea Framelits. Some are cut from the Watercolor Paper where I cleaned my Aqua Painter and some are from Tranquil Tide Card Stock. I adhered these to the inside of the cut-out oval with a bit of Snail Adhesive. Next, I cut the netting from Crumb Cake Card Stock with one of the Layering Oval Framelits. I had been seeing in various online posts that people were having trouble with this die, but I didn't have a bit of trouble. PRO TIP: Use two pieces of card stock. The top one will cut beautifully; the bottom piece will likely just have the impression and won't be cut all the way through. I adhered the net inside the cut-out oval, too. I flipped over this piece and adhered a 3-1/2" by 4" piece of Window Sheet, using a Glue Dot at each corner. Then I adhered Foam Adhesive Strips around the oval. I added some Tranquil Textures Sprinkles inside the oval. Next, I stamped the textured stamp from the "Sea of Textures" set in Balmy Blue and Soft Seam Foam Inks onto a 3-3/4" by 5" Whisper White panel. I stamped some seaweed in Soft Sea Foam and Tranquil Tide. I removed the backing from the Foam Adhesive Strips and adhered the stamped Whisper White piece to the front panel. 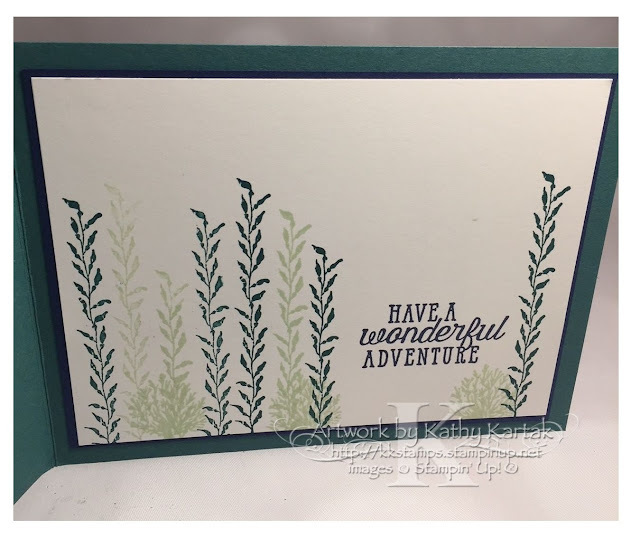 I used six Stampin' Dimensionals to add the assembled piece to a Tranquil Tide Card Stock card front. 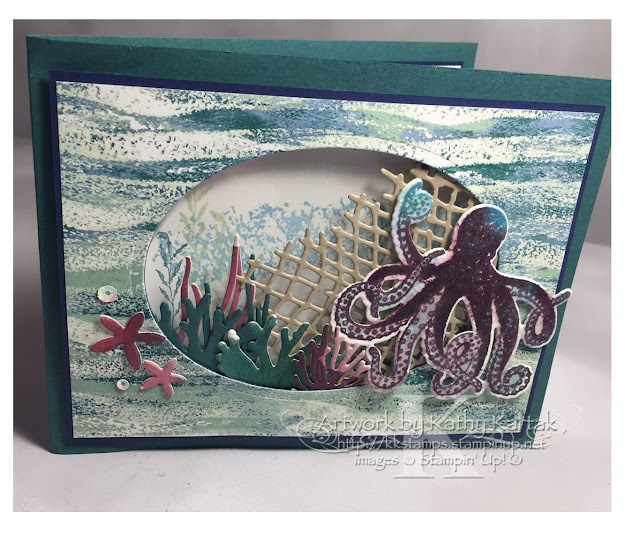 To finish the front of the card, I used the Fine-Tip Glue Pen to adhere two starfish cut from the Under the Sea Framelits. The starfish were cut from the Watercolor Paper where I cleaned my Aqua Painter of the Fresh Fig Ink. I also used the Fine-Tip Glue Pen to adhere two sequins from the Metallics Sequin Assortment. 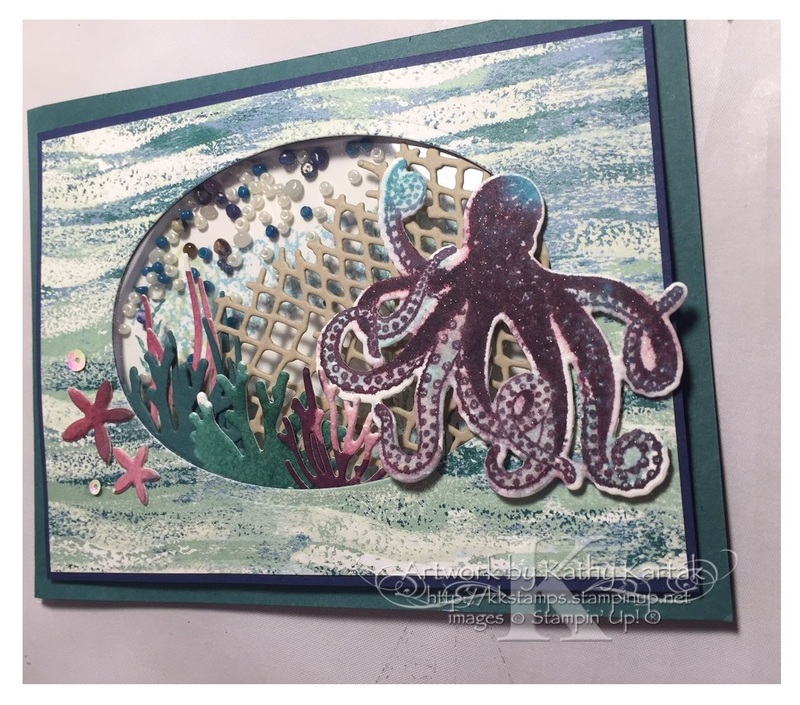 I adhered the octopus to the card with a combination of regular and Mini Stampin' Dimensionals. Inside the card, I stamped the sentiment from the "Sea of Textures" stamp set in Night of Navy onto a 3-3/4" by 5" Whisper White Card Stock panel. 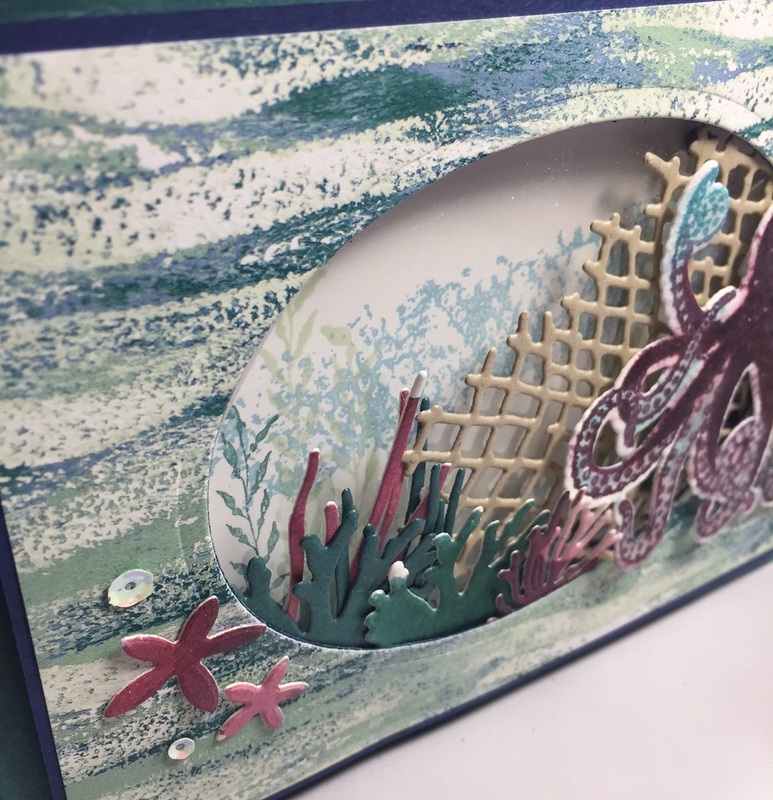 I added some seaweed stamped in Tranquil Tide and Soft Sea Foam. The coral is also stamped in Soft Sea Foam. I adhered this to a 3-7/8" by 5-1/8" Night of Navy mat and then into the card. I hope you enjoyed my project. Please use the next button to visit Elizabeth Price's blog. 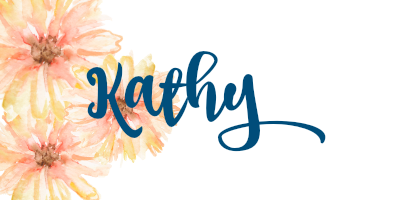 You are sure to be inspired by her project--she's amazing!